Sweet, fruity and reminiscent of the classic old school bubble gum flavours of the 80’s, with a ..
A tangy ripe orange taste tingles on the tongue and finishes with a sweet candy taste to balance ..
Succulent super sweet summer ripened strawberries hit your taste buds followed by the subtle sour..
A classic ‘Shisha’ flavour: Sweet and refreshing, unmistakable apple flavour throughout!Diamond Mist.. 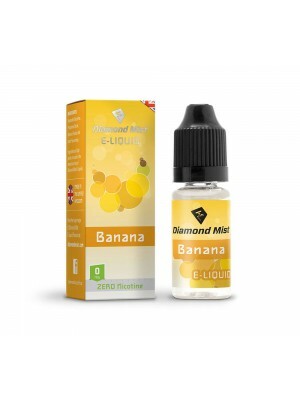 Smooth sweet banana: Creamy flavour, like a banana milkshake! Diamond Mist E-liquid’s c..
A retro blast of Aniseed.Diamond Mist E-liquid’s contain a precise blend of PG and VG solution, re..
Sweet, succulent blackcurrant. 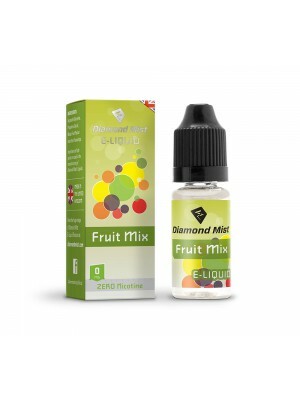 Diamond Mist E-liquid’s contain a precise blend of PG an.. The mellow flavour of beautiful Blueberries. 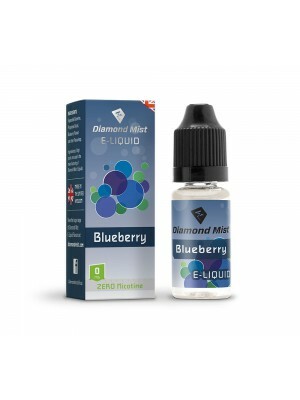 Diamond Mist E-liquid’s contain a precise blend.. The unmistakable flavour of Bubble Gum, sweet, fruity and unique. Diamond Mist E-liquid’s co..
Luxurious sweet cherry, with a long fruity finish. 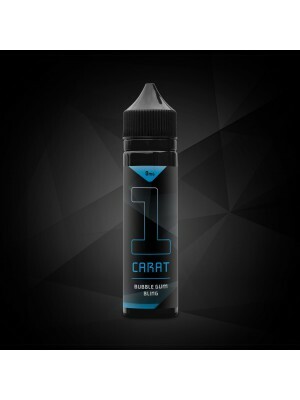 Diamond Mist E-liquid’s contain a pr..
Peppermint refreshment through and through. Diamond Mist E-liquid’s contain a precise blend ..
Green and red apple working in harmony to provide a more intense apple flavour . Diamond Mis..
A massive, fruit mash upDiamond Mist E-liquid’s contain a precise blend of PG and VG solution, res..
Another retro flavour, sweet and satifiying gobstopper.Diamond Mist E-liquid’s contain a precise ble..